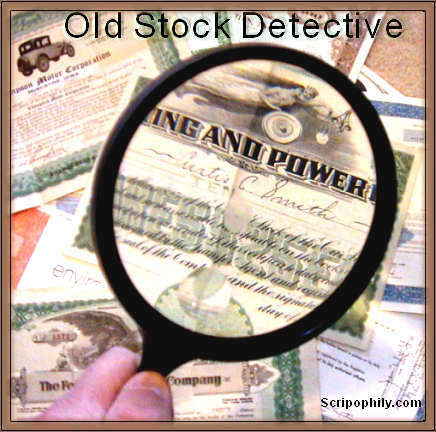 June 18, 2014 in Old Stock Research Service – OldCompany.com, Scripophily - Collecting Stock Certificates, stock research. Wall Street Scripophily Calendar with each month featuring a unique certificate in full color. This is a perfect gift for customers, employees, friends, collectors, students and everyone else. The actual size of the calendar is 8 1/2″ x 11″ ( perfect size for mailing ) with 28 color print pages including the cover. Months include December 2010 to December 2011. Each month has a color certificate on the top page, with the monthly calendar down below. October 2, 2010 in Old Stock Research Service – OldCompany.com, Scripophily - Collecting Stock Certificates, stock research. July 30, 2010 in Old Stock Research Service – OldCompany.com, Scripophily - Collecting Stock Certificates, stock research. July 29, 2010 in Old Stock Research Service – OldCompany.com, Scripophily - Collecting Stock Certificates, stock research. May 9, 2010 in Old Stock Research Service – OldCompany.com, Scripophily - Collecting Stock Certificates, stock research. 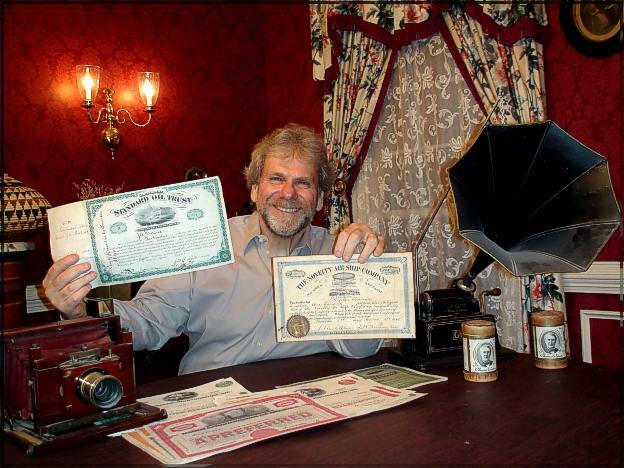 October 11, 2009 in Old Stock Research Service – OldCompany.com, Scripophily - Collecting Stock Certificates, stock research. Bob Kerstein, who lost a cabin and a house on gold-mining property that his family owns in the forest, said Congress should investigate the Forest Service’s tactics. September 29, 2009 in Old Stock Research Service – OldCompany.com, Scripophily - Collecting Stock Certificates, stock research.